Reward Points extension for Magento 2 is the right cure for enhancing customer’s interaction with your website by offering precious rewards to them. Customers will get the Reward points whenever they visit your store if they have any completed purchase or some actions such as signing up a new account, reviewing and voting any product they like, subscribing your newsletter and more. Based on customer activities, you will decide when and where to apply reward and reward rules. Reward Points program boost traffic to your site drives enormously and simultaneously. Reward points extension support you to convert your visitors into a loyal and profitable customers in a short period of time, bring to you a lot of potential customers. In the perspective of store admins, you can keep track your customer behaviors with the ,advanced report built-in feature. Along with other Mageplaza affiliate program, this one is a powerful sales motivation to get a boost in profit while also enhancing your customers experiences, therefore increase conversion rate. Until now, there are so many vendors providing Magento 2 Reward Points extension which is quite similar. This makes consumers confused to choose the best. Let us scroll down to compare objectively about Reward Points extension among the reliable providers on Magento 2 Connect. Magento 2 Reward Points program allows customers to earn reward as points and spend points based on Catalog Rule and Shopping Cart Rule. Our reward point system has various and flexible reward points rules and spending rules. Hence, targeting different customer segments to enhance customer experience is more efficient than ever. The earning Reward point can be fixed amount or a percentage of product price when loyalty customers meet all conditions of your Reward Points based rules such as category, brands, subtotal, shipping method, attributes and so on. These rules set will be determined and managed by store owners. What if you want to change and navigate customer behaviors. For example, you want to increase social media presence by encouraging your customer to engage with their social profile. In this case, you can set the earning Reward Points rule as following: Get 10 loyalty points for every social sharing with a list of pre-determined social platforms. 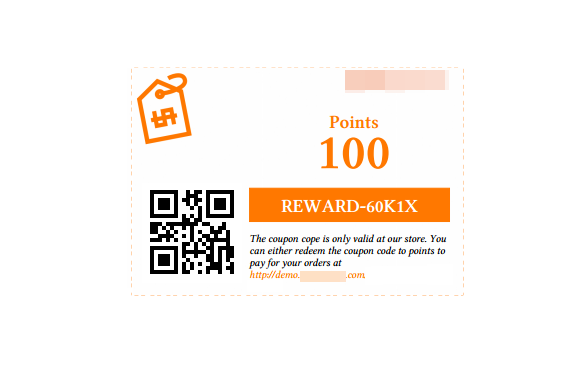 Just by click on share button, customer can easily earn reward points. Everyone gonna love that! 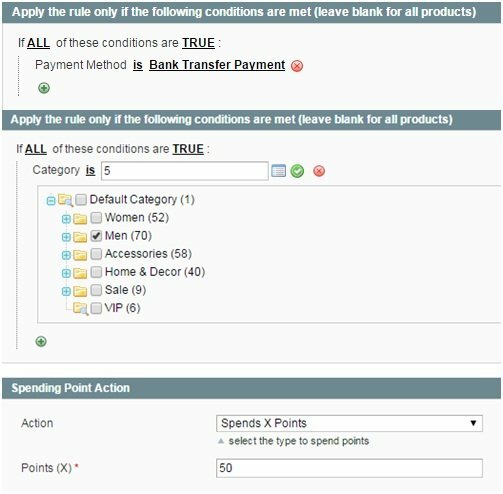 Regarding the spending Reward Points rule, store owners as you will still configure it basing on the criteria of catalog rule and shopping cart rule and generate it while the maximum or minimum points the customers pay per orders are often required. Which means some mini cart are not qualified for the discount from this Rewarding System. Especially, buying products by Points, the customers will receive a fixed or percent discount if you want to encourage them to earn and spend more points. Loyalty points are refundable Reward Points. Therefore, it is possible for your customers to refund points within approved maximum redeemable points if they cancel the orders. With Magento 2 Customer Reward Point module, it is so easy for customer to get the fantastic points from multiple actions. This will help attract more and more visitors to your site. Customer can use these points for purchases with considerable quantity to have a bigger bargain. A big boost to your sales performance. 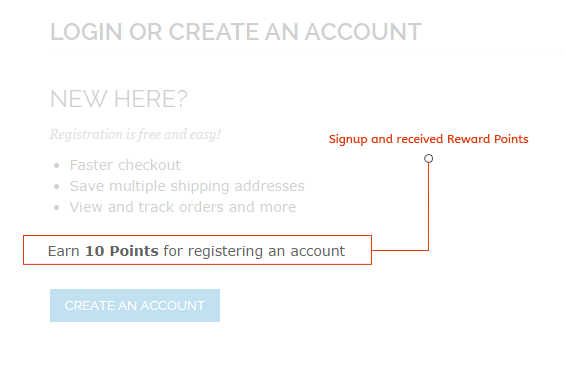 Magento 2 Reward Points starting up with registration instead of checking out as anonymous, the clients will take corresponding points into their pocket effortlessly. This is the primary step to establish loyalty customers and new repeat purchases as well as make retailer and loyal customers better due to the gift. More ever, this technique helps you acquiring customer informations for cross-selling, up-selling or re-marketing afterward. The rule is founded on subtotal, quantity items in cart, billing, shipping address, categories, SKU,... and each rule will be assigned to specific customer groups as well as stores. One group/ store is applied one or more earning rules which are active depending on their priority. 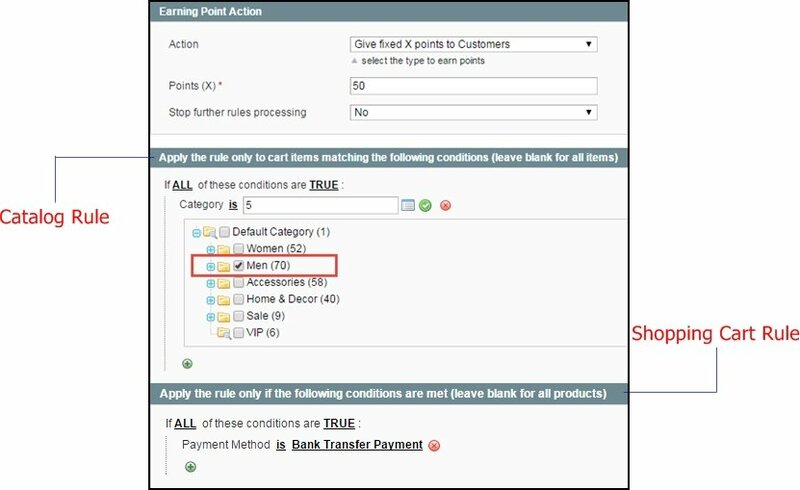 The flexibility of the rules set from Magento Reward Points module enable you to precisely target your desired customer segment. Especially, you should offer the expiration date for reward points in order to promote the users to spend points more frequently. Newsletter subscription is the perfect method to inform your promo as well as improve the relationship between seller and customers. 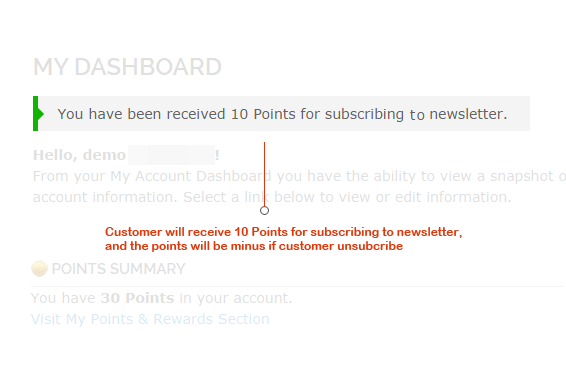 So why don’t increase the number of subscribers by rewarding points? By this way, you are building the steady basis for the Magento 2 reward system in the feature, which will do wonders for customer loyalty. Communicate with many new customers effortlessly through existing customers by Magento 2 Loyalty program. Starting a new Referral Program just by a few set of rules in this Magento 2 extensions. The old clients will be received a gift when clicking on quick social network buttons to share products, purchases publicly with friends. Or they build-in an invitation email and send to friends’ email. This might be the great way to expand the awareness of your brand on the marketplace with low cost. 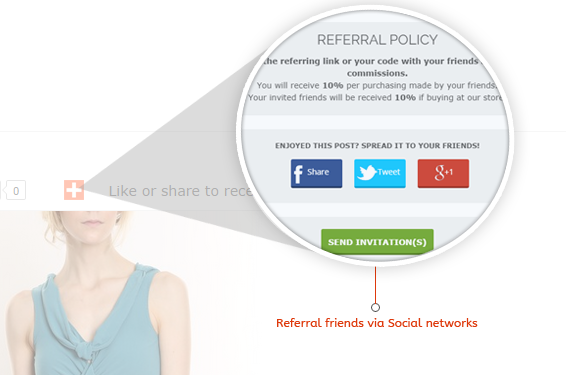 Besides, the customers will copy referral codes and send to their friends via other media. This is a good solution to get customers' friends, even friends' friends involved in purchasing. Improve SEO for store owners by focusing on product’s review and rating because the previous client’s appreciation is always the most reliable proof. Applying Reward Points system, customers can be rewarded automatically whenever they write a product review or only receive points until the review is approved by you. 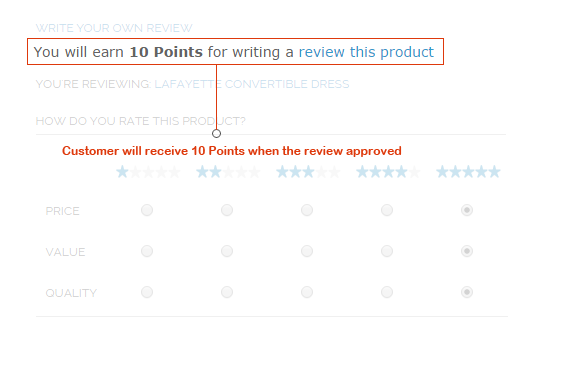 This means you get the full control of Reward Points System settings on product reviews. Reward Points earning in comment process can be use normally as regular points and will be added instantly to your point balance. Magento 2 Reward Points plugin is the advanced module allowing you to create many lifetime events such as number of orders, number of referrals, or length of membership. Once the milestone is reached, there are two actions the customers have chance to pick up. You can offer a fixed amount points or move them into higher group with a lot of superior benefits. For instance, transfer from Silver Group to Gold Group or Gold to Platinum. 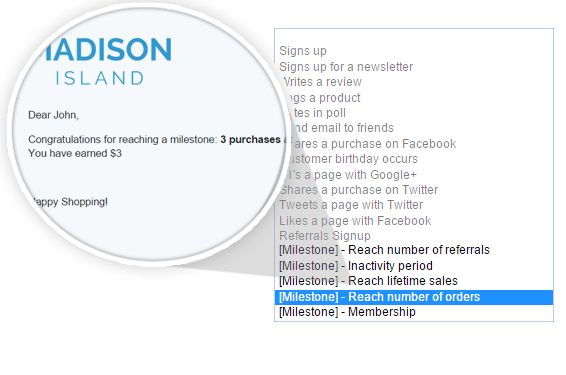 The Milestone add-on is a great way to create a Tiered Loyalty Program. Our Reward Points extension possible to set a rule which will automatically send points to targeted customers as you wish in special events such as Noel, New Year or any occasions. 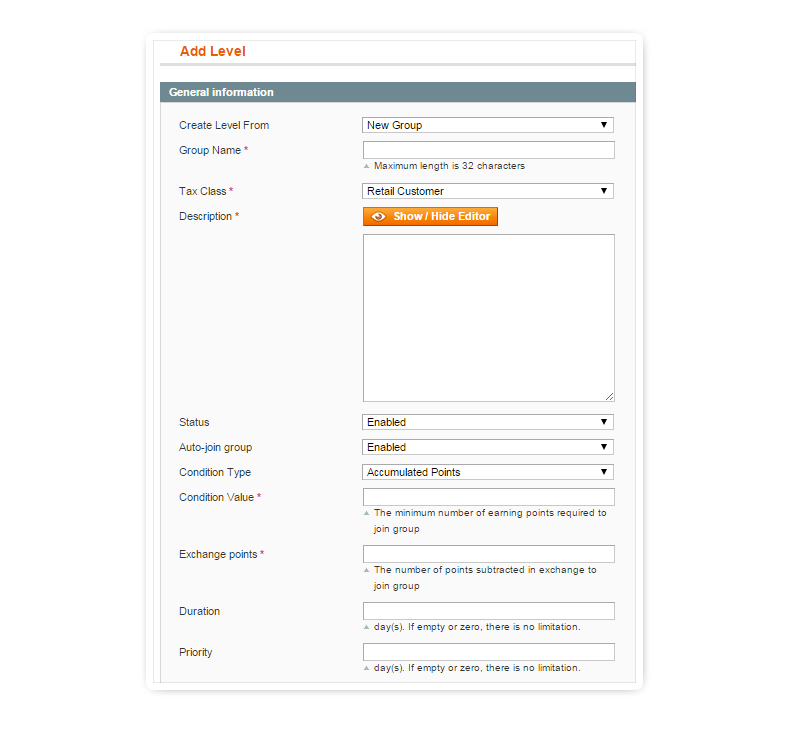 The Event plugin allows selecting any group available in the System, configuring your own desired one with many conditions, importing Customer list from a CSV file. Reward Points extension has particular example about setting the event rule with the following conditions. Especially, the event rule is applied again and again when you set an effective time for it. Let take the annual repeat for Christmas in December 20th to 31th. So every year, during Christmas, customers who listed by store admin will receive a gain in Reward Point balance. With Magento 2 Reward Points plugin, you can build and manage unlimited member levels/ Loyal Customers Levels groups with a variety of fantastic benefits. Customers will be motivated to earn and collect points in their balances depending the necessary conditions you require, and then exchange a certain number of points to join in these groups. With the greater customer group, customer can receive more discounts on their purchases, higher earning rate and lower spending rate. That will make the clients more and more interesting in shopping at your store. Out of all marketplace addons, this magento extension is perfect for gaining customer’s loyalty while also giving them pleasure experiences. 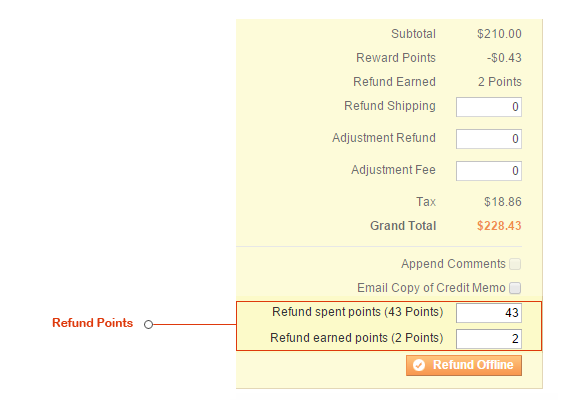 Reward Points extension for Magento 2 allows generating manually Reward Coupon in mass. Multiple coupon codes, issued randomly from the backend, are similar to gifts or special offers. They should be redeemed for points to get the discount for any purchase. In order to make things more interesting, the Reward Coupon is also designed with many eye-catching templates. You will provide it for customers or share their friends. These aesthetic coupon will surely impress your customers or even attract new ones. 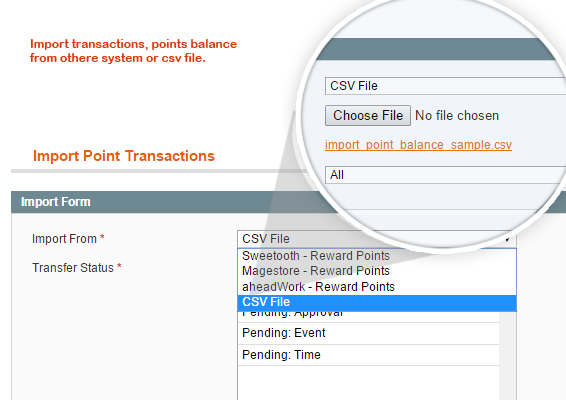 Transfer Reward Points function is enabled for admin and customers. 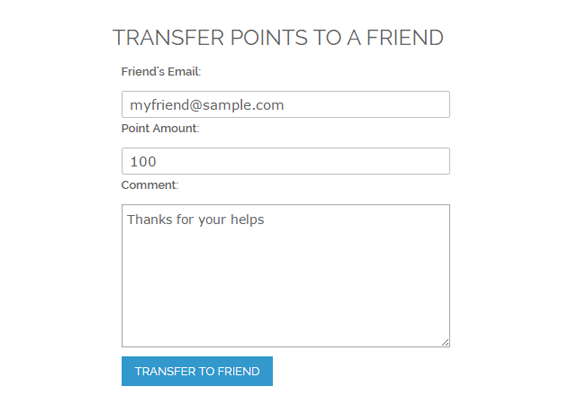 Admin has rights to create point transfers right on the backend while the customers can also transfer points to friends via email in the account page. Import/export points feature helps cut down workload for admins by easily importing or exporting customers’ reward points transaction. No more manual and complex work. The great thing about Magento 2 Reward Points extension is that it provides you an easy method to perform transaction management. All point transaction are managed in Transfer page (think of it as Transaction history page) such as a number of points, sender, recipient, time and status clearly. Support Magento 2 only. A detail points transaction is a good indication for tracking and inspecting customer behaviours, to know whether customers are engaged with your loyalty program or not. Similarly to cash, the buyer completely gets points back in case of refunding orders which use points as a Magento payment method. Thus, your customers are confident in your service to carry out their purchases without afraidness of losing money. 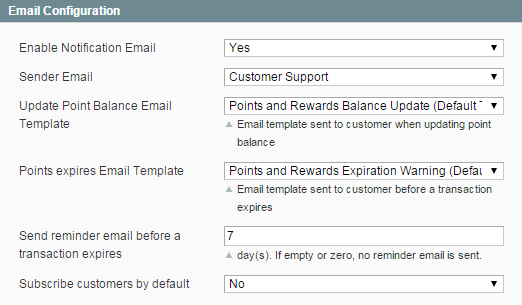 Store admins can decide whether points customer earned are refundable or non-refundable in the backend settings. After cancelling the order, customers points will receive balance updates almost immediately. With Magento 2 Reward Points Program, your customers can earn and spend reward points easily and whenever there is a change of the points balance, they will be noticed by email. This helps their tracking more effectively as well as avoid a risk of losing points. On the other hands, the email notification may be sent automatically if the value of reward points are expired. Due to Magento 2Reward Points Report plug-in, all of the loyalty program data will be briefly reported on an advanced chart. Allow the merchants to hit an overall and in-depth data through Spending/Earning Ratio, Earnings Distribution, A loyal customer cost and Total Points, since then evaluate the effectiveness of loyalty program objectively. Our Reward Points extension is compatible out-of-the-box with Magento Community Edition and Magento Enterprise Edition 2.1.x, 2.2.x. Any lower Magento Edition will not function properly and will be expected unwanted results. Check out our Live demo and User Guide if you have any confusion. Until now, there are so many vendors providing Magento Reward Points extension which is quite similar. This makes consumers confused to choose the best. Let us scroll down to compare objectively about Reward Points extension among 6 reliable providers on Magento Connect. Here are comparision of some Magento Reward Points extensions in the market now. You can compare and choose the best Reward Points vendor. Can I name the point label? Yes, the point label is flexible for store owner to modify. Let name your point label how to match with your brand, loyalty program. They can be set up as coin, flowers, bucks, loves, balloons, $, pounds and so on. What languages Reward Points extension support? Explain more about Importer Plugin’s benefit? This is the advanced plugin so that you preserve all data of customer’s reward points when you remove previous Reward Points system and install the new one. Thus, your Loyalty program management is never interrupted. 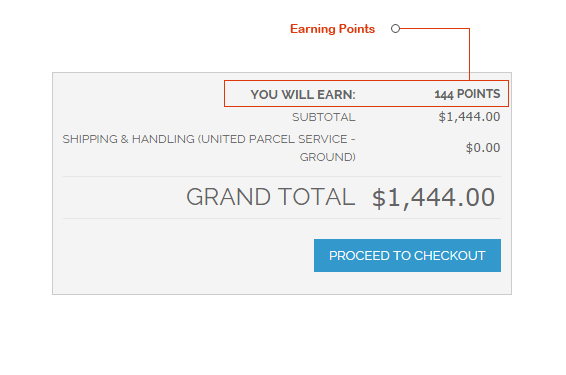 How to know the current amount of points a customer has? You completely manage customer’s information related to loyalty program in Magento Admin Panel. 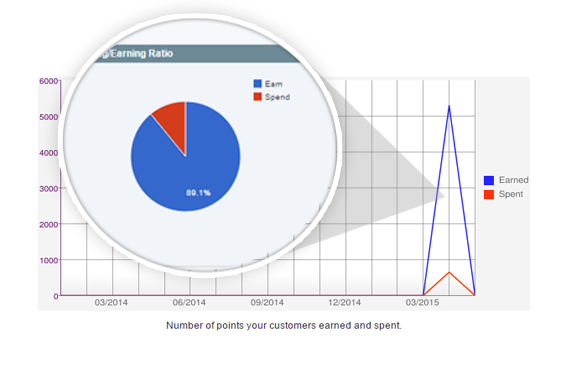 You can filter point balances by date, customer, total balance, customer group, and more. This is allowed to export to .CSV file if you wish. Can I only sell several products by points? Yes, it is enabled for you by “Point-only” functionality. Such products are only paid by points without required cash. This is the awesome way to increase your customer’s experience on your site to earn more and more points. Wish you happy with the fantastic feature. Is it compatible with One Step Checkout extension? How to configure reward points-loyalty program settings? Why you need to build loyalty program for your Magento store?